The campaign aims to shine some light on their effort to restore flows in the Ventura River, which is often a complex issue to understand. 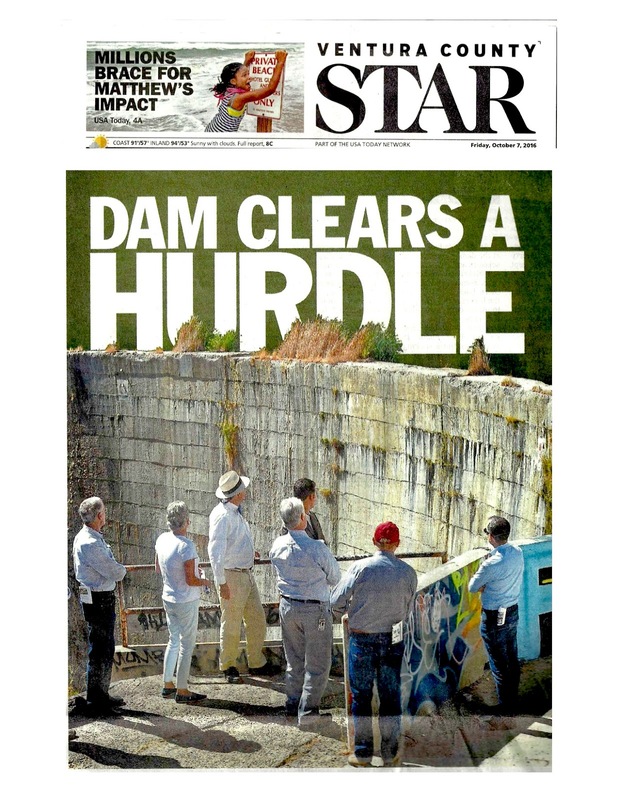 "Channelkeeper has filed a lawsuit to compel the State Water Board to scientifically analyze the “reasonableness” of the City’s use of the river and to find a workable balance between the competing demands for water and the need and legal responsibility to keep the river alive and flowing." "From 2007 until very recently, we were still trying to get Congress to fund this project. We just sort of met with obstacle after obstacle," Schuchat said. The Coastal Conservancy has funded much of the state's share up to now in the process. Instead, local officials want to look at whether they could fund the project without the Corps of Engineers. For now, that's just something to explore. 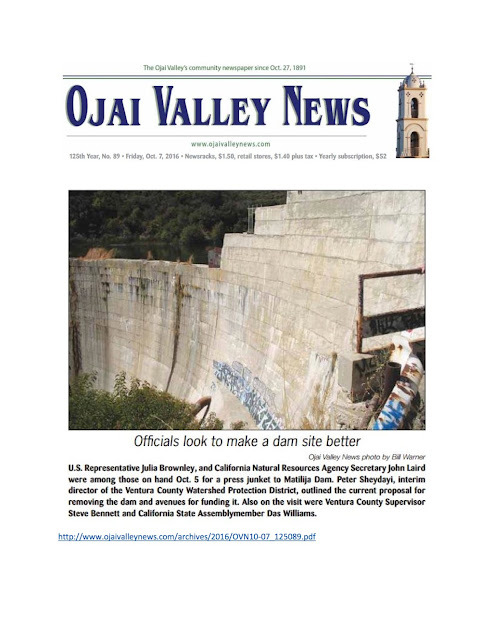 October 6, 2016: Roundtable Discussion on Matilija Dam convened by Congresswoman Julia Brownley. Paul Jenkin presents the history of the project to federal, state, and local representatives.